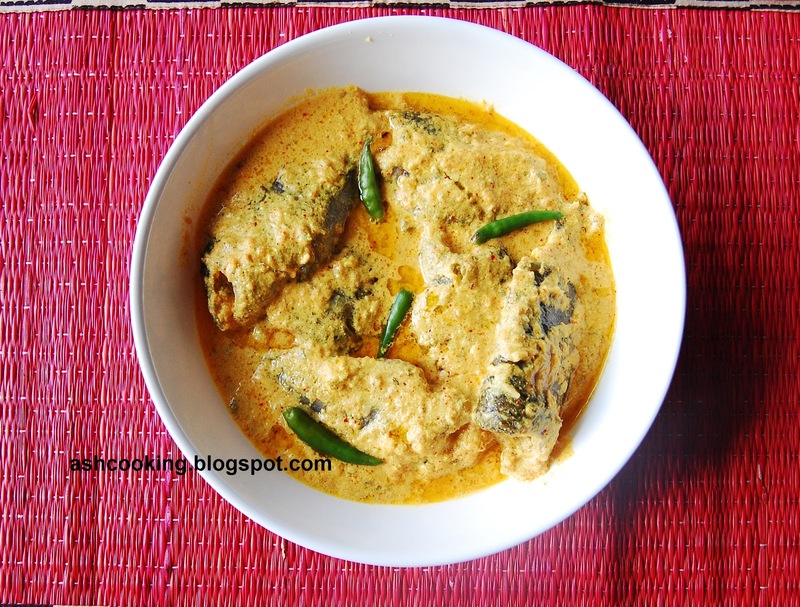 Paturi is a delicacy of fish wrapped in banana leaves and cooked through steaming. 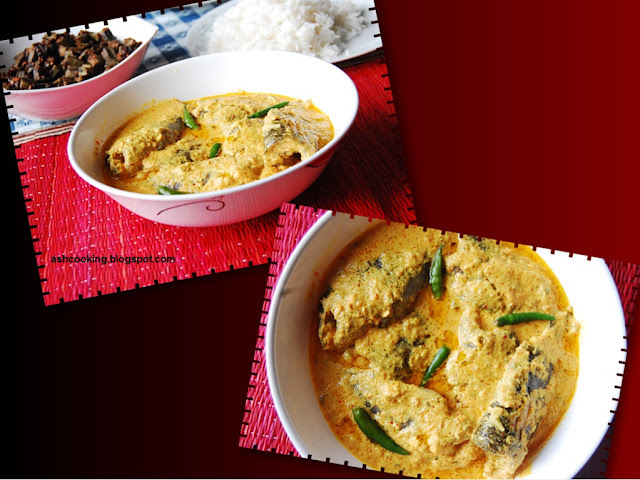 Two famous paturi dishes in Bengal are Bhetki Paturi and Hilsa Paturi. Koi Paturi is not so common a preparation as until I saw the recipe being covered in a cookery program, I had no idea that it existed. Since banana leaves are out of option here, I chose the normal means of steaming i.e. placing the ingredients inside a closed tiffin box and putting the same in a bowl bigger in size covered with a lid with sufficient amount of water to build steam for cooking. You may follow through on the steaming technique in pressure cooker also but somehow I feel more comfortable with the former means than the latter one as I cannot determine how many whistles would be apt to get the fishes cooked rightly without crumbling them. Besides, removing the tiffin box from inside the pressure cooker also tests my patience. Whatever means of steaming you try your hand at, rest assured that the turnout would be one of a kind - flavourful and delicious. 1) In a mixing bowl, combine tomato paste, grated coconut, yellow mustard paste, yogurt, green chilli paste, turmeric powder, kashmiri red mirch and salt. Coat the fishes in this mixture and add mustard oil generously. 2) Place them inside a tiffin box and snap the lid tightly. Now put the tiffin box in a bowl bigger in size half filled with a glass of water, sufficient enough to create steam. 3) Cover the bigger bowl with a lid and cook on medium heat for 25 minutes. 4) When done, remove the lid and garnish with green chillies. Drizzle a sprinkling of mustard oil on top before serving.